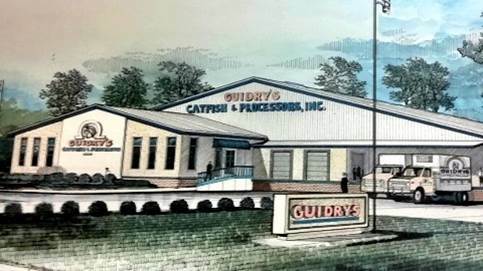 Cajun family owned and operated since 1976, Guidry’s Catfish (Processor’s, Inc.) is the largest catfish processing facility in the state and one of the largest producers of U.S. farm raised catfish in the United States. Guidry’s caters to both the foodservice industry as well as the retail customer, offering over 70 different catfish items, as well as their own delicious blend of fish fry and hushpuppies. Guidry’s 100,000 square foot processing facility and cold storage is located in Henderson, Louisiana. Their facility uses a combination of state of the art machinery and specially trained individuals to process catfish on 11 production lines. The whole production process, from live product to packaged (fresh or frozen), can take less than 30 minutes! An employee of MEPOL had heard of our Center and reached out aware of the success of other companies created by MEPOL in the past. 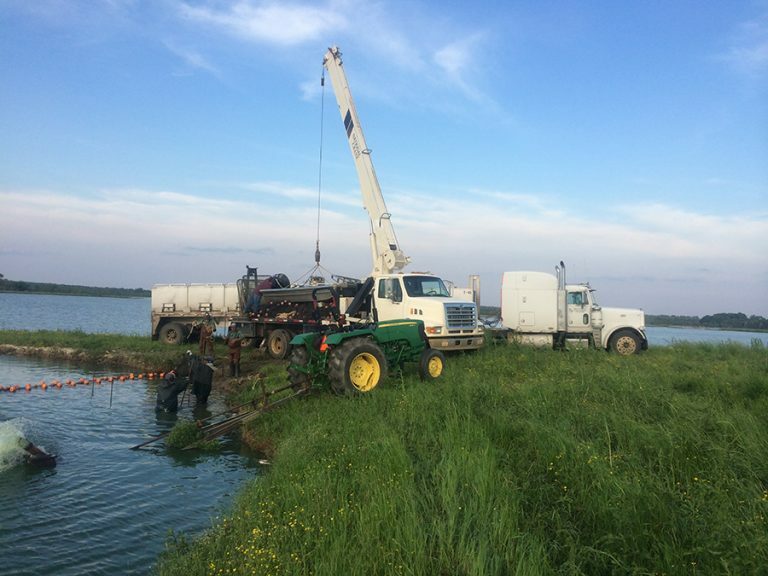 Technical Project Director, Rebecca Scherff, knew the manufacturer was located in a rural area in Henderson, Louisiana and began doing research on available assistance programs. After a meeting with client in 2015, MEPOL informed them of the REAP Grant which provides guaranteed loan financing and grant funding to agricultural producers and rural small businesses for renewable energy systems or to make energy efficiency improvements, but the 2015 deadline had been missed. In 2016, Guidry’s Catfish (Processor’s Inc.) was prepared for the REAP Grant application and began collecting all of the necessary paperwork for the application process. The REAP Grant application was written with an energy improvement project in mind to add a chiller system for the reduction of the intake water temperature to the company’s icemakers. Scherff met with the University of Louisiana at Lafayette’s Energy Assessment Team to discuss the Energy Assessment for the grant application and had the University perform the assessment. Once the assessment was completed, Scherff met with the client to review the application paperwork and toured their facility to better understand the addition of the chiller system. Once all information for the REAP Grant was collected from the client, Scherff worked on the application and submitted it to USDA. As a result of MEPOL’s assistance, Guidry's Catfish experienced the following impact: initial cost savings of $70,000, new sales of $64,000, increased sales of $350,000, $10,000 worth of new products, a $230,000 save on investments and 200 retained employees.